In brief: Fall seems to be the season of smartphone leaks. Google's Pixel 3 smartphones were leaked multiple times before their announcement, and now the upcoming Razer Phone 2 has followed suit. Though reportedly the device's design remains unchanged, a now-removed Amazon listing suggests the Razer Phone 2 will house IP67 water resistance, a Snapdragon 845 processor, and a new RGB logo on the back. Mere days after pre-order and pricing information for Asus' gaming-focused ROG Phone hit the web, leaks regarding Razer's aptly-named Razer Phone 2 have also arrived, just hours before the smartphone is set to be officially revealed. Savvy journalists from GSMArena were quick to snag product images from a now-pulled Razer Phone 2 Amazon listing, while noting down all of the relevant hardware information. 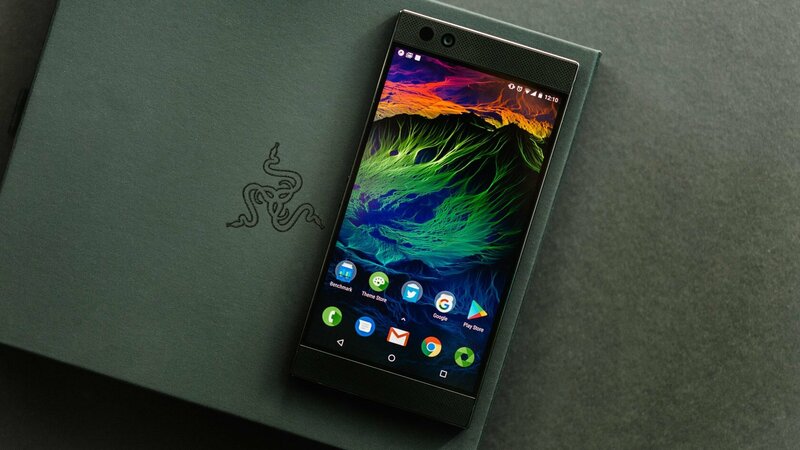 The outlet reports that the soon-to-be-announced Razer Phone 2 will ship with a glass back for wireless charging, a "Chroma" RGB rear logo (an unusual design choice for modern smartphones), and a powerful Snapdragon 845 processor. Compared to the first Razer Phone, the company's second shot at a mobile gaming device is pretty similar aesthetically speaking. Indeed, if you hadn't been keeping up with news surrounding Razer's smartphone ambitions, you could easily mistake the new flagship for its predecessor - the front-facing speakers are in the same place, as are the volume buttons. The Razer Phone 2 also has the same blocky, rectangular design as the first Razer Phone. It's not just the Razer Phone 2's design that seems to be remaining the same - for the most part, the device's hardware is reportedly identical to the first Razer Phone's. The screen is still a buttery-smooth 120Hz, the Razer Phone 2's 5.72" LCD panel with "QHD resolution" is making a return, and the base RAM and storage are both remaining unchanged at 8GB and 64GB, respectively. One notable improvement could be what GSMArena refers to as a "unique vapor chamber," which sounds like a revamped cooling system. How exactly that system works is unknown, but if the information is accurate, you can bet Razer will show it off on-stage during their upcoming keynote. However, the Razer Phone 2 will reportedly feature IP67 water resistance, a first for Razer's devices, as well as wireless charging. According to GSMArena, the now-removed Razer Phone 2 Amazon listing did not include battery capacity information. Whether or not this leak is accurate remains to be seen, but we certainly won't have to wait long to find out. Razer's official Razer Phone 2 livestream is set to kick off at 6:30PM PT. You can tune into the currently-dormant stream right here.